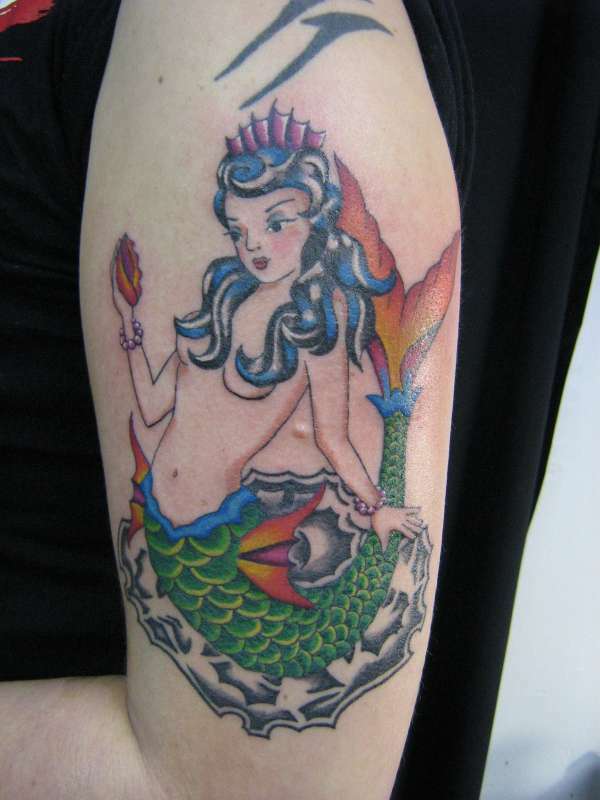 mermaid i tattooed on a friend of mine... we both came up with the design together, she likes old school pin up girls, so went for a pretty traditional look but with brighter colours. Gorgeous. You guys conjured up an awesome design, and I love the colors.